The Gary Lincoff Memorial Foray will be held on Saturday, September 21st : Walks, presentations, auction, book signing, sales, table-walk, mushroom feast. Rose Barn, Pearce Mill Rd, North Park, McCandless Township, PA, 15101. We plan to combine this with a walk and mushroom collection in Cook Forest State Park on the Friday. Guided morning walks and self-guided afternoon mushroom walks; Mushroom Walks will be conducted in North Park and in other woodlands nearby Lectures: guest speakers: Adam Haritan and Bill Russell; Mushroom Feast; merchandise sales and silent auction. Adam Haritan is the Founder of LearnYourLand, a community and online database of Pennsylvania’s naturalists and nature-related events. .
Bill Russell is the author of “Field Guide to Wild Mushrooms of Pennsylvania and the Mid-Atlantic”, which he revised and expanded in 2017. Western Pennsylvania Mushroom Club cooks will prepare a Mushroom Feast with dozens of unique mushroom dishes to delight your taste buds. 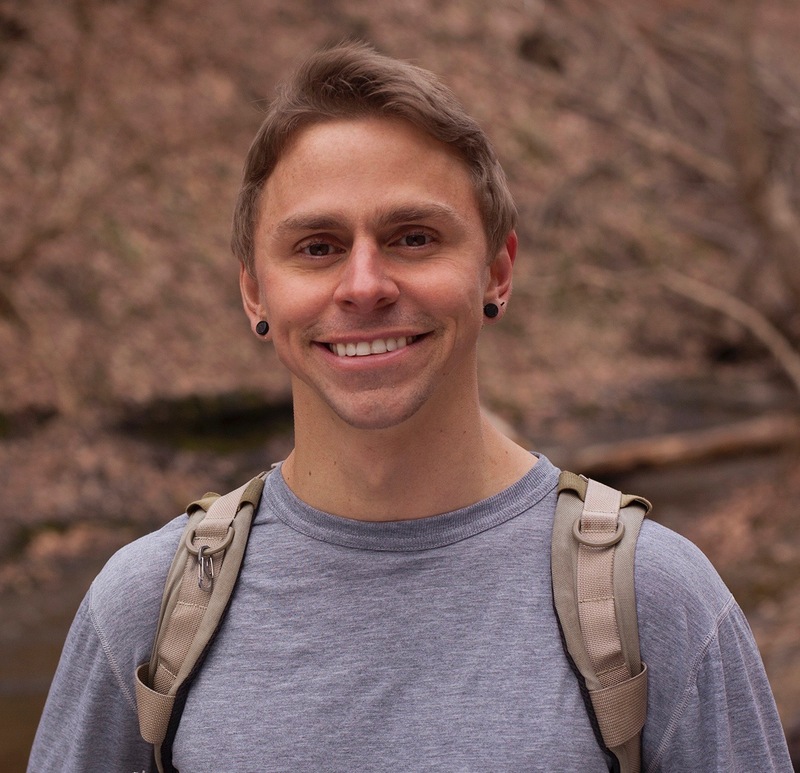 Adam Haritan is the Founder of LearnYourLand, a community and online database of Pennsylvania’s naturalists and nature-related events. Adam leads various classes and workshops related to plant and mushroom identification, wild food harvesting, nutritional and medicinal components of wild foods, the benefits of nature connection, and more. He is an official Identifier with the Western Pennsylvania Mushroom Club and has served on the WPMC Board since 2016. Adam has also published a “Fun Guide to Fungi”, and his YouTube channel features over 100 instructional nature videos. Bill Russell is the author of “Field Guide to Wild Mushrooms of Pennsylvania and the Mid-Atlantic”, which he revised and expanded in 2017. 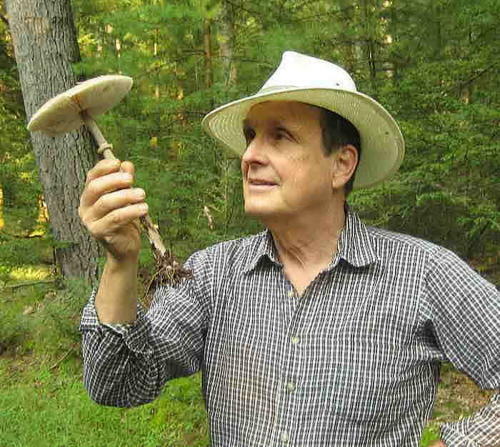 Bill has been giving mushroom workshops, walks, and talks since 1960. A longtime resident of State College, Pennsylvania, Bill is Founder and past president of the Central Pennsylvania Mushroom Club. In 2013 the Club members voted to name their annual foray the Bill Russell Foray, in appreciation for his efforts to raise awareness of mushrooms and make their study accessible to amateur mushroom enthusiasts in Pennsylvania and beyond. Students (with ID) and children 11 to 18: $15 each. We are looking for volunteers to help at the event, and will have a sign up sheet later in the year. Knowing the risks, I (we) agree to assume the risks, and agree to release, hold harmless, and to indemnify the Western Pennsylvania Mushroom Club, and any of its officers or members, from any and all legal responsibility for injuries or accidents incurred by myself or my family during, or as a result of, any mushroom identification, field trip, excursion, meeting or dining sponsored by the club. Sometimes the address and location information for a meeting point is not 100% accurate. Some parks and meeting point do not have a street address so it is difficult to program the map to point to the exact location. Click on the link for any additional driving directions and meeting point information to Rose Barn.